Teli and I were in bed I was on the Kindle and she was dozing off next to me. We were all calm, comfy and cozy. All of a sudden she started growling while looking towards the door. Her hair was standing up on her back. The growl got bigger as Teli jumped to her feet. She was in full attack mode it seemed. I sat up as well. There is a divider blocking the door from my view. First thought is that someone was hiding behind the divider. I was starting to grab my stick I keep by the bed. Teli jumped off the bed and ran into the living room, my vicious attack dog was a chicken. I was alone with whatever it was behind the divider. Just at that second the light in my brain lit and I realized what was happening. I laid a black scarf on top of the divider earlier today. It did not belong there. Teli came running back in and jumped onto the bed still growling, a deep frightening growl. I bet that scarf was scared to death of Teli ready to attack it. 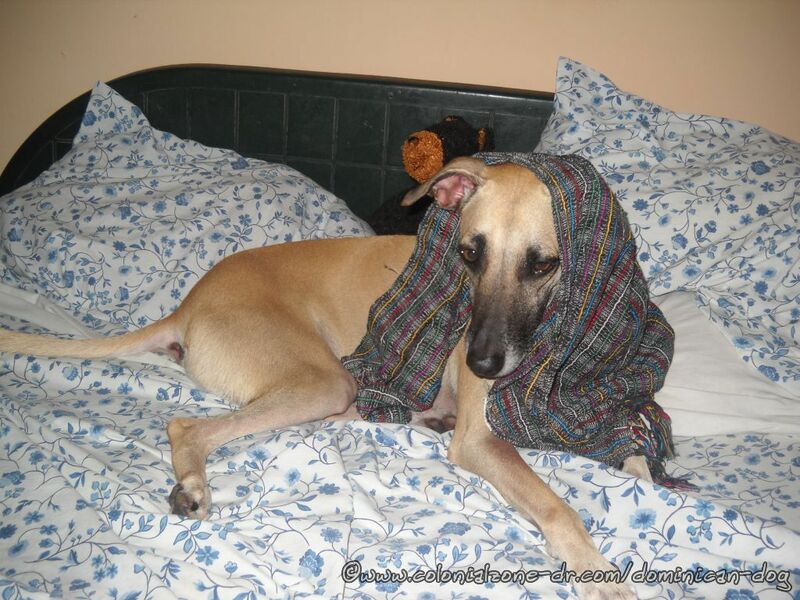 I grabbed the scarf and threw it down on the bed next to where she was standing. She jumped up in the air, all for feet off the bed. Frightened. Then she gave me a look like what the heck looking from the scarf then to me a few times. Then the brave dog sat down while sticking her nose into the offending piece of black cloth. All was safe and she was happily throwing the scarf into the air and playing with it. My guard dog saved me from the big bad scarf, that is, after she ran away in fright. She had her bad scarf and laid down again and I returned to my Kindle. All was safe and sound. Wowwee's attack, dog, growl, teli. permalink.